Thank You | Armed Missouri, Inc. Your evaluation has been successfully submitted. 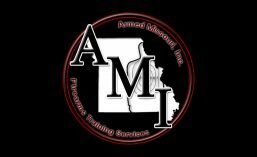 Your honest evaluation of our performance is essential to the continued development and improvement of Armed Missouri, Inc. courses and training programs. We appreciate you taking the time to let us know how we did. If you enjoyed your class and would recommend us to others, please consider helping us grow by using the following links. Join & Share our Facebook group, AMI Discussions. Follow & Share us on Twitter. If you’d like to submit another evaluation, please click HERE.